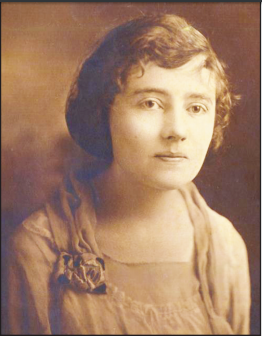 Carol's family joined the rest of the Hoff family in Yorktown in 1908, and it was here she began hearing stories from her grandmother and great-aunt. Hoff would eventually revive those stories into works of fiction. The character Johnny Texas played an important role in two of Hoff's books: "Johnny Texas" (1950) and "Johnny Texas on the San Antonio Road" (1953). Both of the Johnny Texas books, plus "Head to the West" (1957), gave accounts of settlement on the Texas frontier. They also reflected the experiences of the numerous immigrants who arrived in Texas from Germany. Hoff's books are still available in Germany as "Texas Jonny." "Johnny Texas on the San Antonio Road" finds Johnny driving a freighter's wagon loaded with corn from his family's homestead in East Texas to a mill in Guerrero, a few miles across the Rio Grande into Mexico. It's a great adventure, especially when shared with young readers. I first read it in the third grade in Victoria, where for a number of years Carol Hoff was librarian at the Victoria Public Library. The story still fires my imagination. 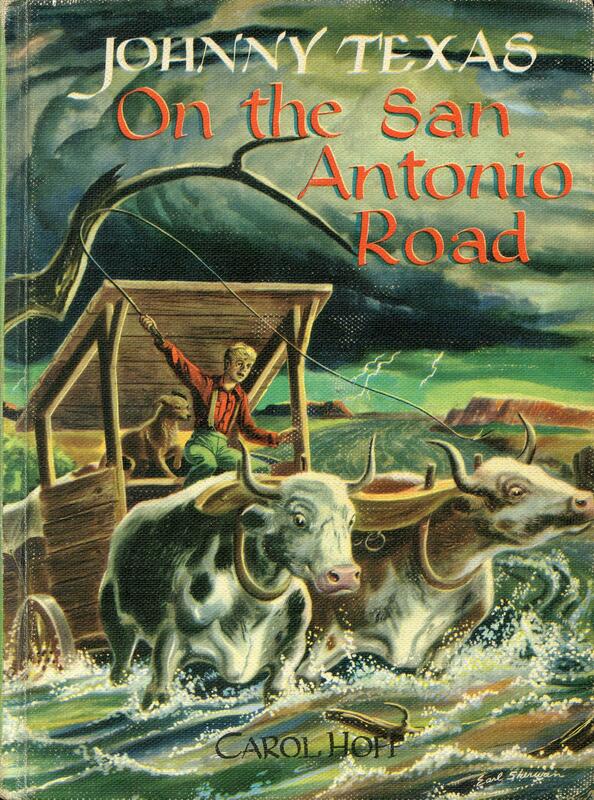 Of particular interest in this tricentennial year for San Antonio is the chapter which tells of young Johnny's stop in San Antonio to have repairs made on his wagon, a freighter drawn by two oxen. This was during the years of the Republic of Texas, around 1840. San Antonio sat strategically on El Camino Real, also known as the Old San Antonio Road. As Carol Hoff describes Johnny's eyes “squinting in the hot sunshine” her mind's eye must also have squinted, blending what she knew of San Antonio from her own experiences in the early 1900s and the San Antonio she had heard about from her grandmother. Her description is a wonderful vignette of what has always been the center of San Antonio, defined by the wandering San Antonio River, Main Plaza, Military Plaza, and the ruins of that most revered of Texas shrines, The Alamo. This audio essay was written and produced by James Baker, with vocal assistance from Kathy Couser, Nathan Cone and his son Maximilian as Johnny. Gil Guzman voiced a wagonmaster and blacksmith. Beverly Bruns, who knew Carol Hoff, chimes in with her own colorful memories. TPR's Tricentennial project is supported in part by an award from the National Endowment for the Arts.